Peeking eastern screech owl (Megascops asio) at Croton Point Park, Croton-on-Hudson, NY. Canon 7D, Sigma 70-300mm f/4-5.6 lens, ISO 100, f/11, 0.3 seconds. Just a quick post to share this image of a peeking eastern screech owl (Megascops asio) I visited on a recent overcast morning. 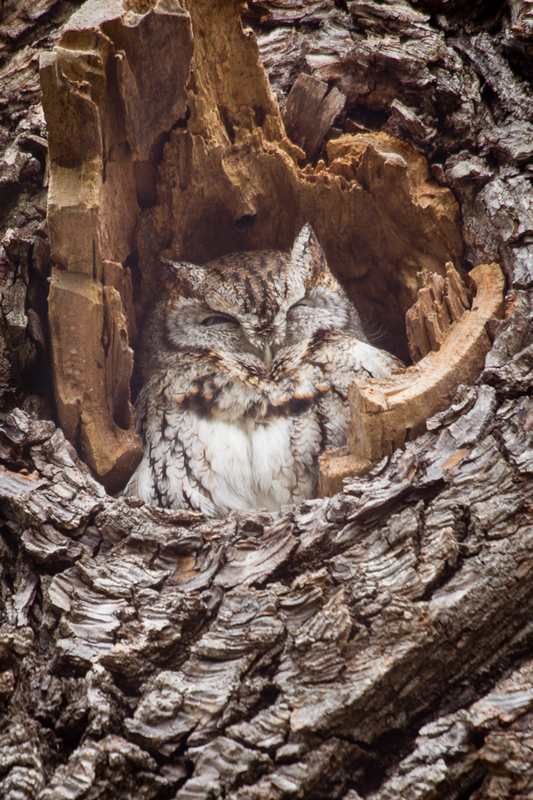 I hope to return soon at a time when the light is more interesting and this little guy is more awake (and hopefully the nearby great horned owl nest is more active as well). Lucky you to find this little featherball!